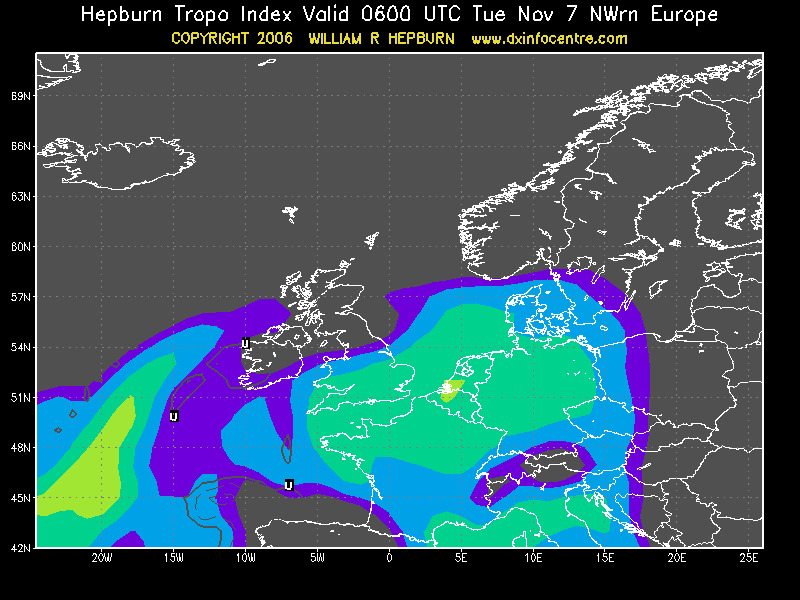 Another very good tropo opening in Prague, perfect on 144 MHz and good, but not unique on 432 MHz. 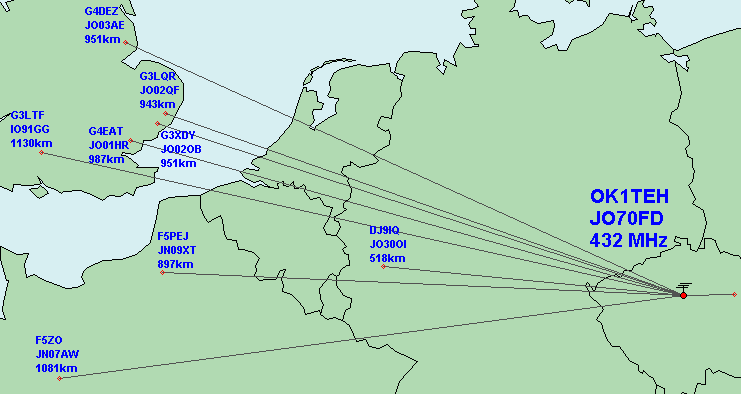 Two new grids worked on 2m, JN08, IO74 (what a suprise from GI6ATZ on distance 1466km!). 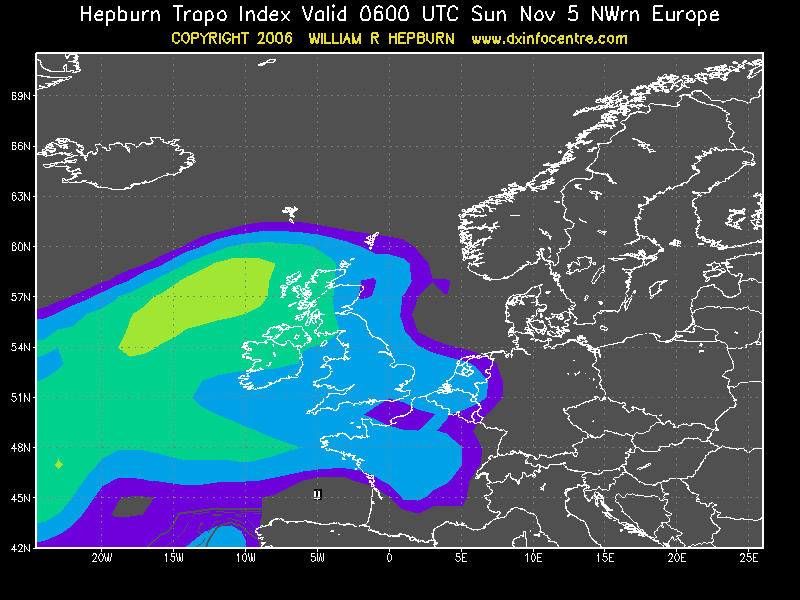 On 70cm as well 2 new grids, JN07 and JO01. 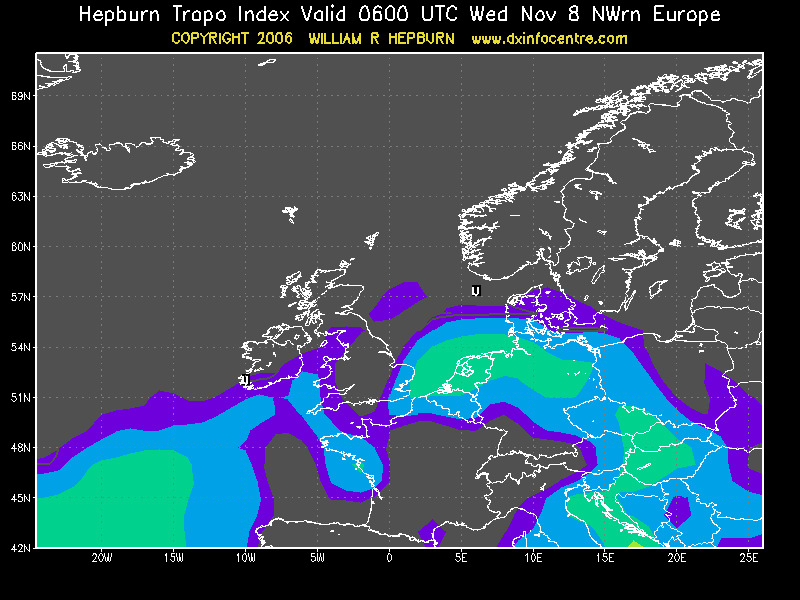 I think it was one of the best tropo openning into UK directly from Prague for over last 6 years. 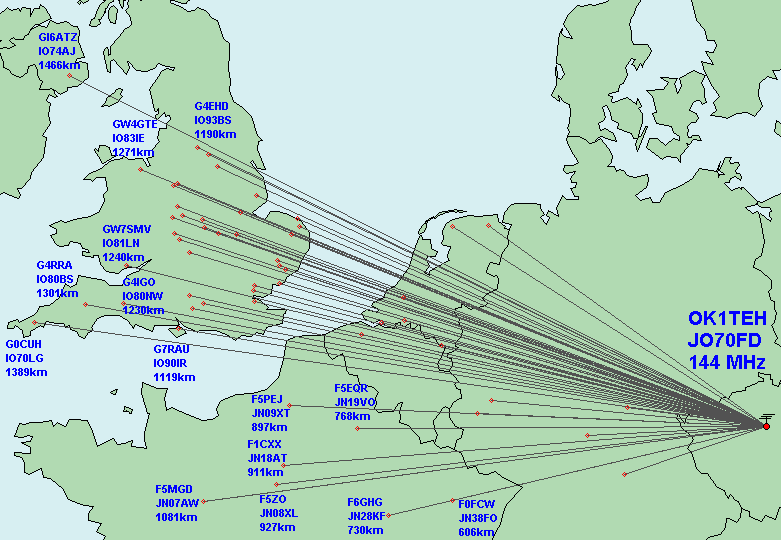 In my 2m log are at least 45xG stations. 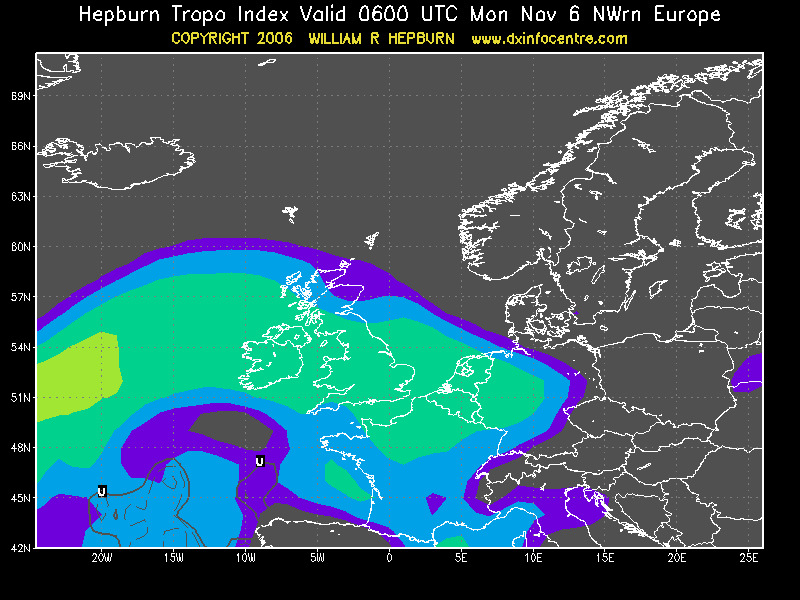 This was my 1st tropo opening with my new 1kW PA, and it worked very well indeed! 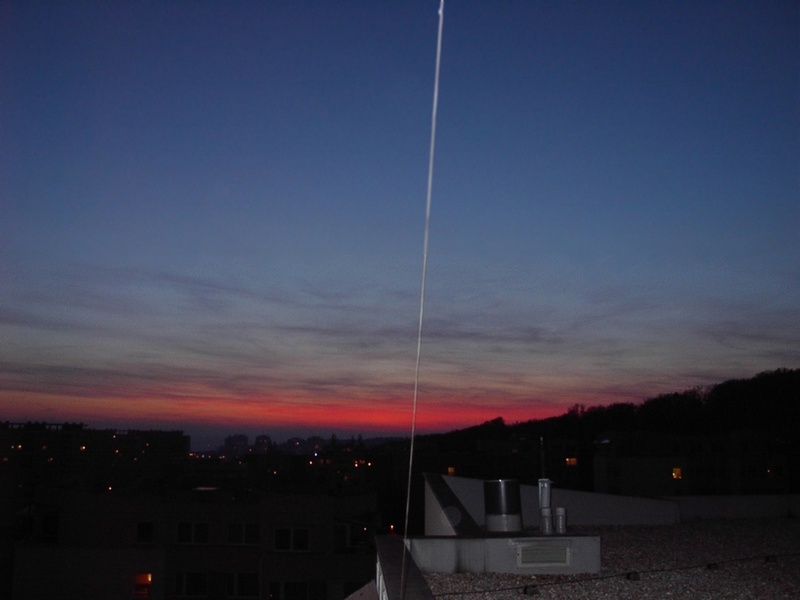 You can listen audio record from G4RRA IO80BS of my CW 2m signal on distance 1301km here (and during that time GB3VHF/B beacon was peeking 579). BTW I also heard Charles, EI5FK, but signal was too weak for qso. Maybe next time ;-) Also my small 3cm 15dB horn was too small for 10GHz tropo qso, however Premek OK1YA, only 2km east from me worked 2xF stations from Paris, distance abt 900km, congrats.